There has been a lot of interest in the recently leaked Nokia Lumia 1520 Mini smartphone, otherwise known as the Nokia Lumia 1520V. 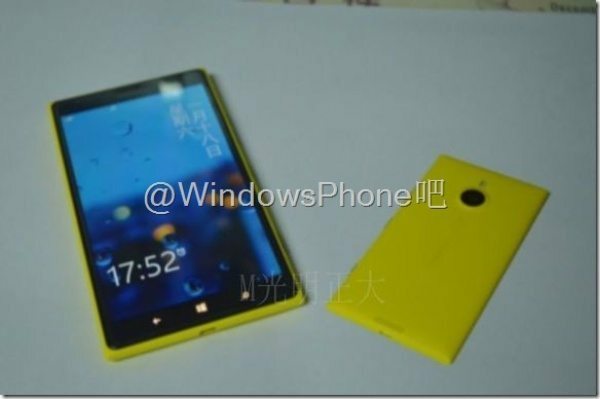 This smaller version of the Lumia 1520 flagship is rumoured for a release in April and now some Nokia Lumia 1520 Mini claimed new images have surfaced. Some previously leaked specs for the Lumia 1520 Mini included a 4.3-inch Full HD display, 2GB of RAM and 32GB of internal storage. It was also said to have a 14-megapixel rear camera, wireless charging and a 3000 mAh battery. However, the latest specs vary from this and those who saw previously claimed specs might feel a little let down. The latest leaks suggest that it will have a larger display at 4.4-inches but that this will have a lesser resolution of 1280 x 768. Also the battery size is now alleged to be a smaller 2370 mAh capacity. Of course, nothing has been confirmed yet so for now we’ll hope the previous specs leak was accurate! As the Lumia 1520 Mini or 1520V is thought to be heading for an April release it makes sense that it could launch running Windows Phone 8.1, which is also aimed at an April release. 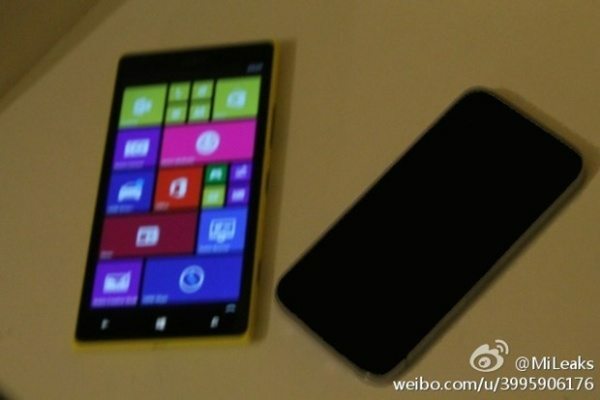 The new leaked photos have appeared from sources in China, and one of the leaked images appears to show the Lumia 1520 Mini alongside an iPhone, giving a rough size comparison to think about. Also just in case you’re wondering, the V in Lumia 1520V apparently stands for Viisi. We’ve not seen any news yet on which processor the Lumia 1520 Mini might sport or price details, but we expect to be hearing much more on this phone soon. Do you like the sound of the mini version Nokia Lumia 1520V? Would you consider buying the Nokia Lumia 1520 Mini if the price is right? Let us have your comments.